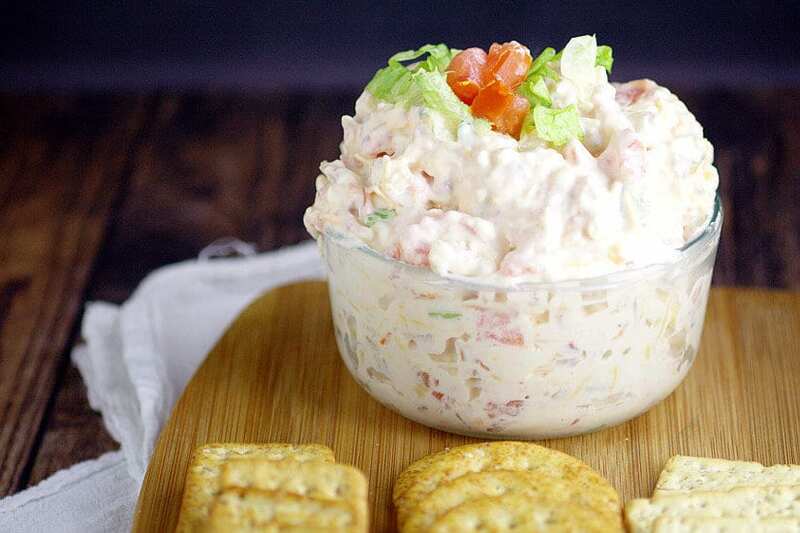 Salty, crispy bacon and zesty tomatoes in a creamy dip make this BLT Dip recipe amazing. 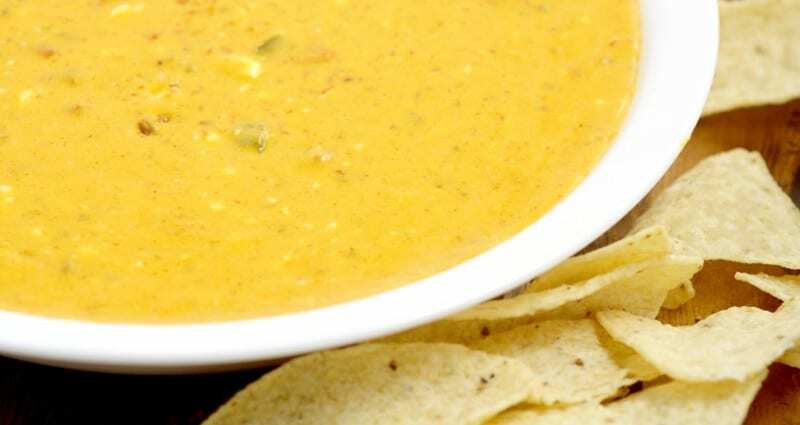 Perfect to serve at your next gathering! 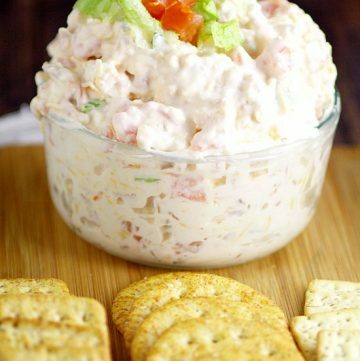 You can pretty much count on any food with bacon being a hit, and this BLT Dip is certainly proof of that. I need someone to confiscate the bowl from me or I just. Can’t. Stop. Eating it. So yummy. 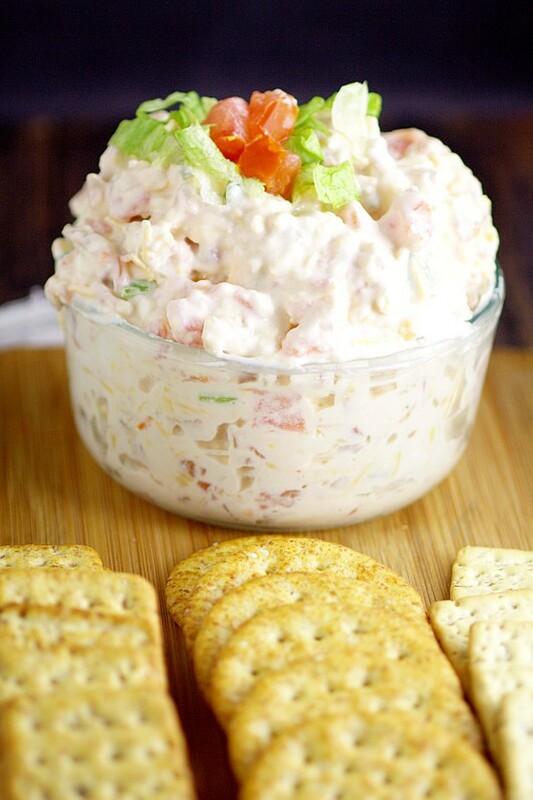 So as you might have guessed, BLT Dip is just like a BLT sandwich, except it’s in a bowl to be served with crackers. And it is scrumptious. Crispy, salty bacon and zesty tomatoes combined together in a creamy dip, and topped with a pretty green lettuce garnish. Heaven. It truly is. 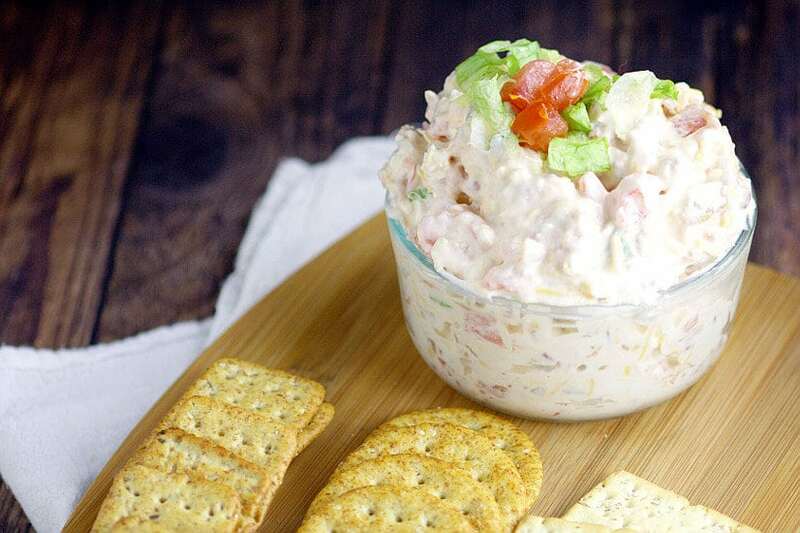 Whip up this BLT Dip for your next party, and it’s sure to be a hit! Whisk together cream cheese and mayo until smooth. Fold in bacon, tomato, cheddar, and green onions. 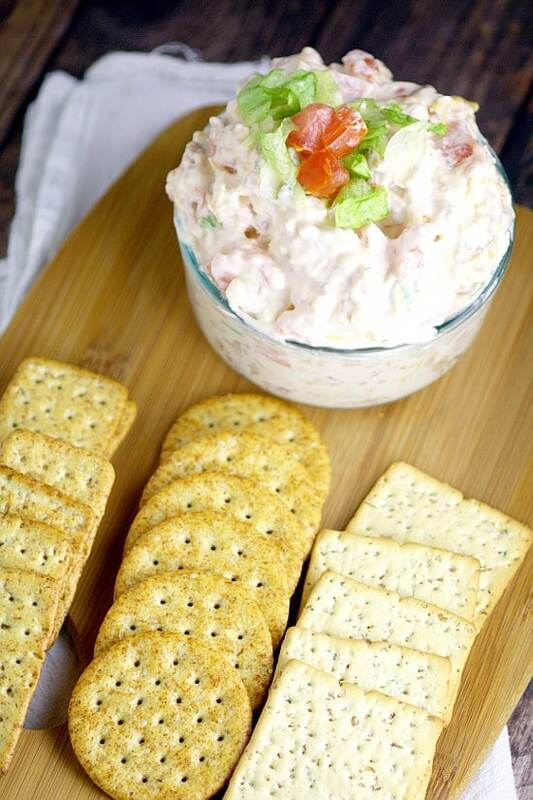 Garnish with lettuce and serve with crackers. 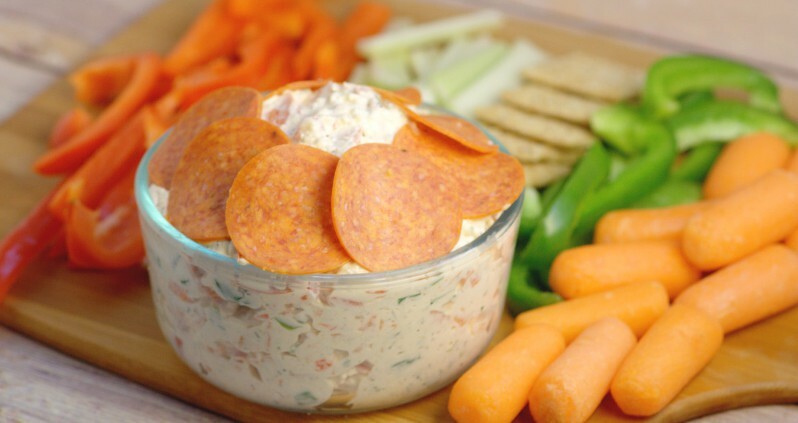 Did you like this BLT Dip Recipe? 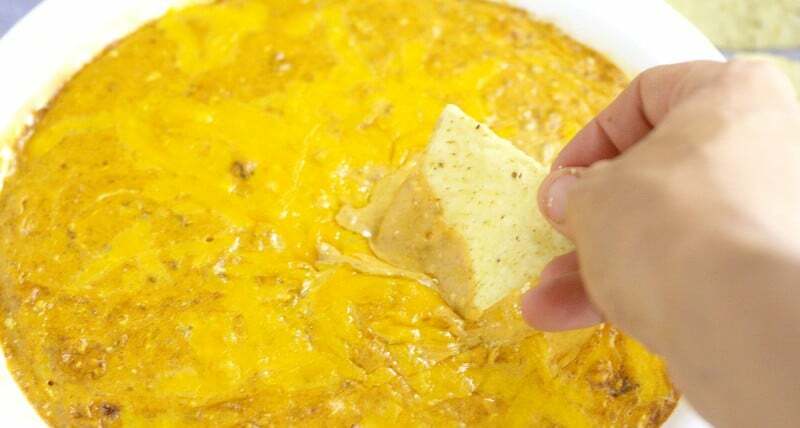 Find more on my Dip It! and Appetizers boards on Pinterest!